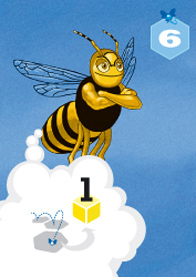 Hornet is a stinging tactical board game for the entire family in which players need to anticipate the moves of their opponents and at times also bluff a bit. 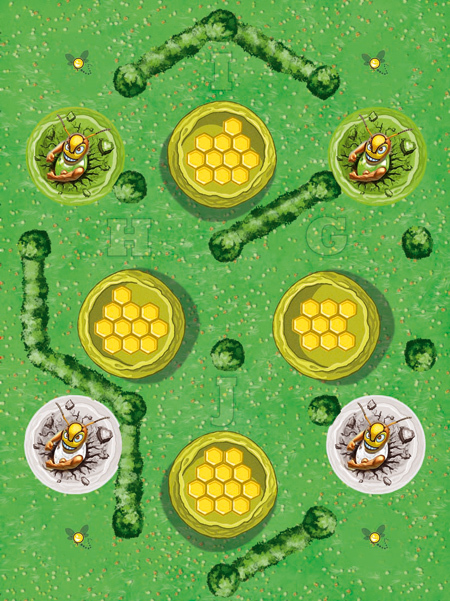 Each player controls a pair of hornets swiftly flying about in flower fields collecting nectar and producing as much honey as they possible can. There are three types of actions, chosen simultaneously by players. Each action has a non-risky and a risky version. Do you play it safe, or bee somewhat aggressive? Add a Review for "Hornet"